It was a perfect day to be out at sea and well unusual for this time of the year so we definitely did appreciate it. 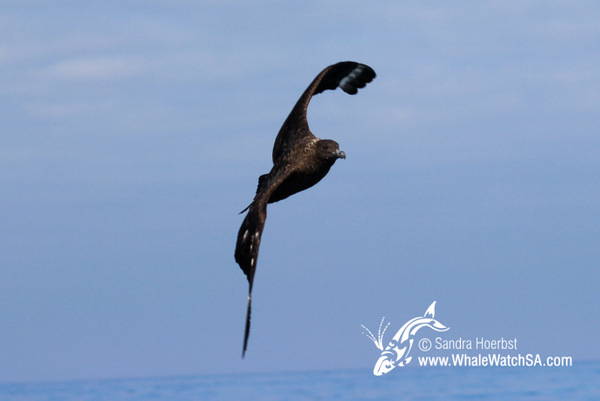 We were slowly scanning the Franskraal and Uilenkraalsmond area for any marine wildlife. 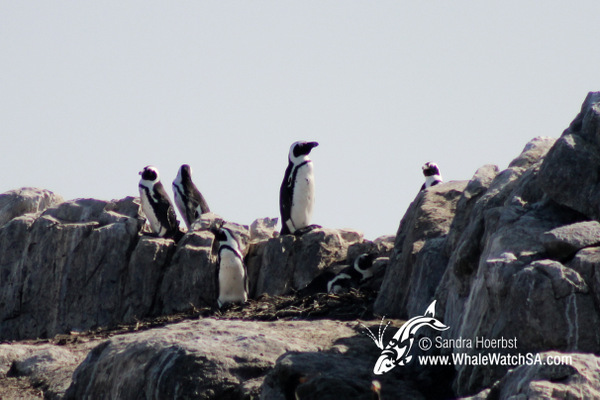 As we were coming closer to Dyer Island we got to see some African penguins sitting on the rocks. 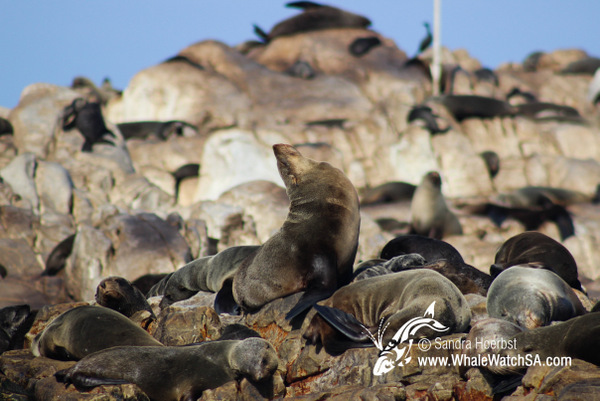 After having a look at these endangered birds we were heading into Shark Alley to see the Cape Fur seals. As it was such a perfect sea day we decided to head behind the Island and then towards Danger Point to see what else we can find. 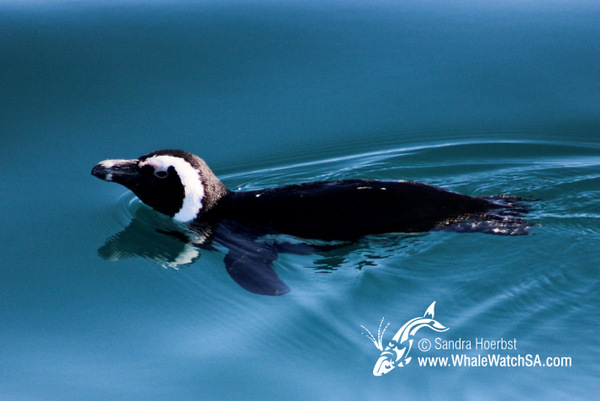 Close to Danger Point we spotted a few African penguins in the water. And then we got surprised by a spout, a Bryde’s whale was close by. 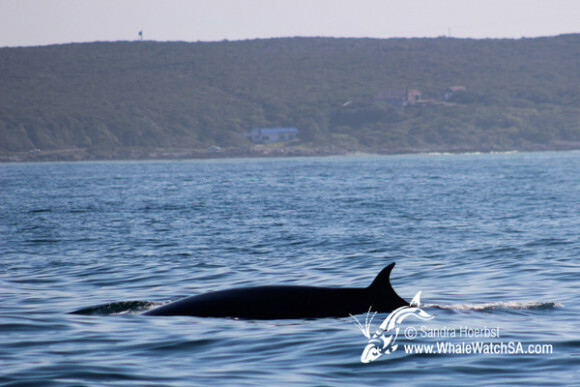 We approached the whale slowly and got to see him twice before it took a deeper dive and swam away.